It comes as no surprise that Hurricane boats are still as popular as ever. But the latest numbers surprised even Hurricane themselves. Over 77% of all Deck boats sold are Hurricane. These boats have always been the ultimate family boat and part of the reason why they are so popular is that they allow family with different interests to still be able to share a boat. You can go fishing, tubing, swimming, diving, dining, cruising and anything else you can think of, all in one boat. There are amenities for the whole family. Marine Connection is a top seller for Hurricane and we have the BIGGEST in-stock inventory of Hurricane Outboard Powered Deck Boat in South Florida. We service the Miami, Fort Lauderdale and West Palm Beach area. Hurricane has always been one of our top selling brands of all time. There are three models in specific that top the charts in sales. The SunDeck Sport 188 OB, the SunDeck 2000 OB and the SunDeck 2400 OB. We keep these three models always in stock, as they are our most popular models. 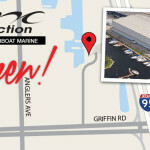 If you want to see the biggest selection of Hurricane boats, come visit our showroom in West Palm Beach, Florida TODAY. All of our Hurricane inventory is ready to roll off the showroom today. You don’t have to wait for months to get a Hurricane! 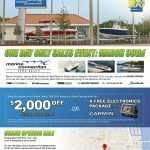 For more details visit marineconnection.com. 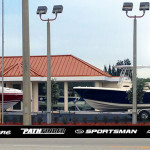 Hurricane Boats: #1 Outboard Powered Deck Boat in Florida! 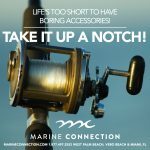 Cobia Boats in Palm Beach, Jupiter, Ft. Lauderdale and Miami!